After left to wait for ten days, Hilderinc Ladies were confirmed the D2D Women’s Futsal League 10 Champions on Tuesday, their first championship in only their second season in competitive football, making a fruitful period for the Hilderinc family after the Blacks’ Saturday men’s triumph in the ESPZEN Saturday League eight months ago. Having completed their fixtures two Saturdays ago, the Ladies who looked to have sealed the title, leading 2-1 with barely two minutes on the clock, were left thwarted when their challengers to the honours, Team Ohana, equalised at the death, leaving the Hilderincs to wait for their opponents to play out their remaining three games in hand. Though frustrated on the day, the Ladies, who had a healthy lead and massive goal different to bank on, were gamely and quietly confident that the nearest rivals who get at least a draw in their run in to hand them the title. 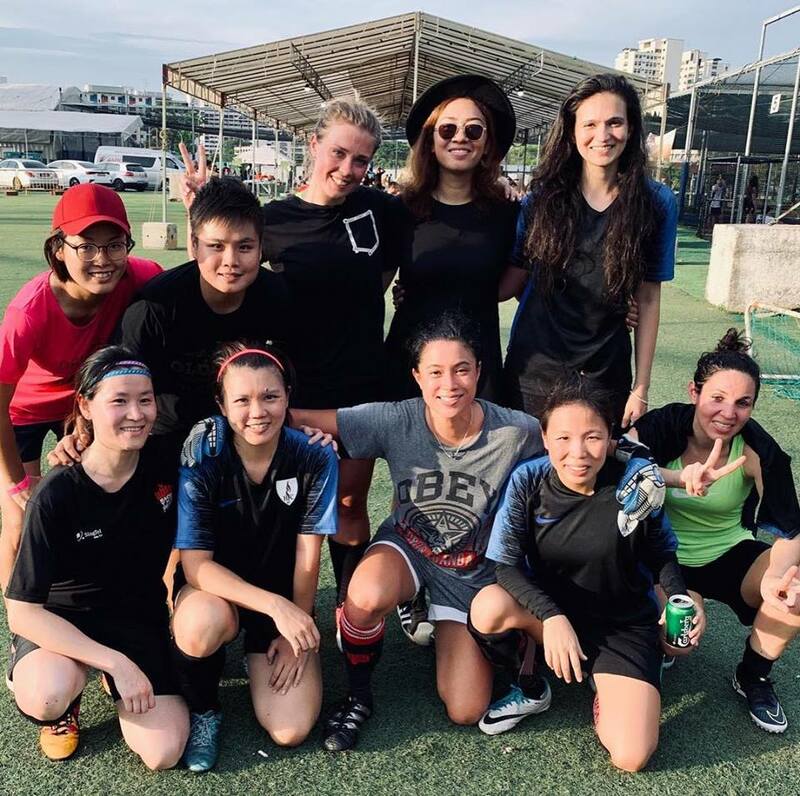 Also in the frame to win the Top Scorer and Golden Gloves individual honours for predatory finishing and sensational goalkeeping, the Ladies have been a collective and ruthless unit, having built on their debut season after they had finished third in the league and runners-up in the Cup. Despite injuries to and relocation of key players in critical phases of the season, the Ladies pulled in quality within their ranks, demonstrating high levels of dedication, hard work and commitment, both on and off the pitch to reap the rewards, befitting the Hilderinc Spirit and being an example even for the Hilderinc men. While the champagne is on ice until after the Cup edition, the Ladies, though celebrating their achievement but will already be aiming to do the double as they look forward to push themselves to the next level. All at the Hilderinc Family wishes to express our congratulations to each and everyone who put in the shift in this amazing run! Only the Start! More to Come!